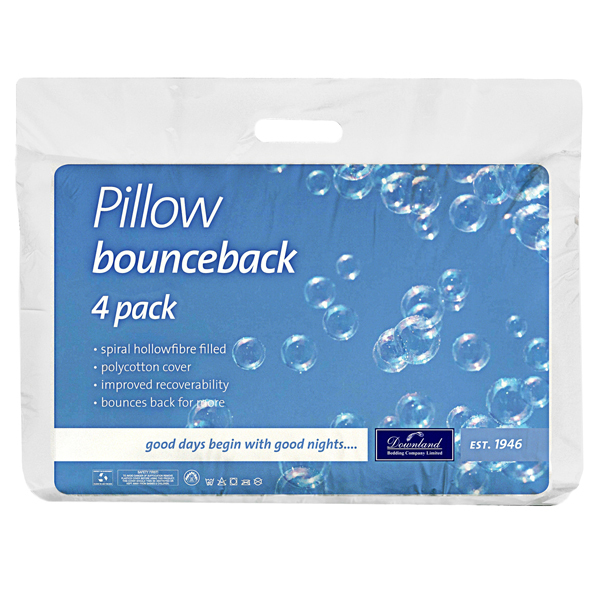 Great as spare pillows when guests arrive and similar: all four pillows in this excellent set show great 'recoverability' - they bounce back for more! Spiral hollow-fibre filled, with a snuggly polycotton cover, this superb set comes at an attractive price for four pillows. Since 1946, Downland Bedding has been a leading brand for bedding, now supplying filled products including pillows, duvets, mattress protectors and accessories.